Project Griffon is about sharing the love. The ethos behind much of what we do here at The Information Lab is to enable the community to collaborate further and discover edges to enhance the way we think about the Tableau ecosystem. This enablement begins at home, and this piece of Project Griffon could not be possible without both the folks who work at The Information Lab, and our customers. 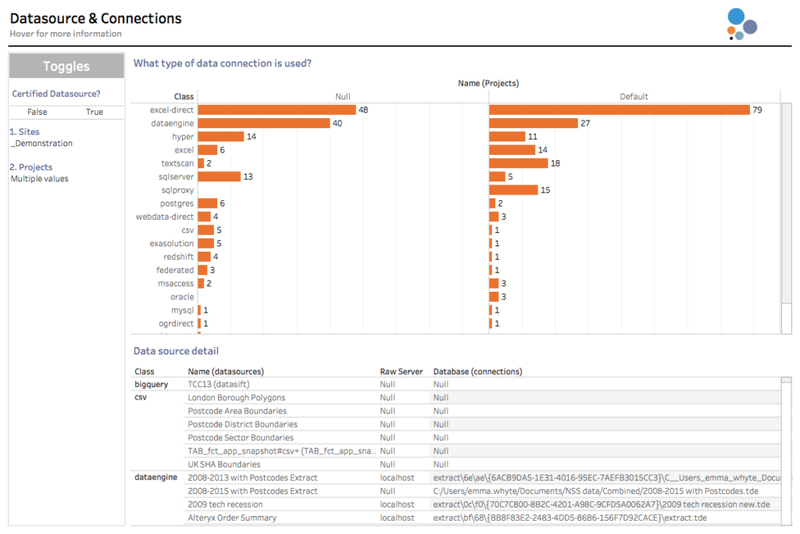 One of our customers had recently moved from one database provider to another, and wanted to do an audit across their Tableau Server to see whether they had any ‘legacy’ systems. 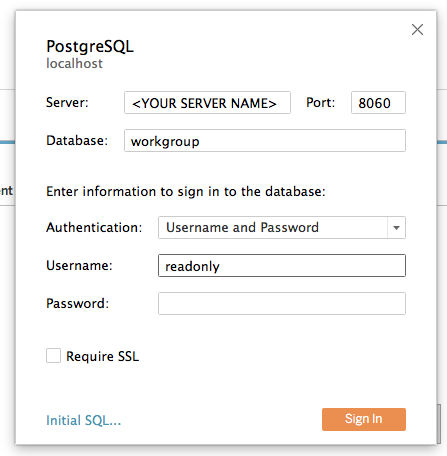 My colleague, Ian Baldwin, had been working with the Postgres repository for a client, and had a set of joins in mind in order to help answer this question. Whilst the Tableau Server dictionary is extensive, I always feel like there are some parts which are undocumented – but I believe there is a reason for this. In some cases, the recommendation engine isn’t turned on – and some of the fields in this set of joins might not be there for you. So should you come across a table which a) you can’t find in your Repository or b) is also not visible in the Postgres Dictionary – Please do let us know in the comments below! So how can you build this datasource Ian created at home? Phew! This is quite a messy set of joins. 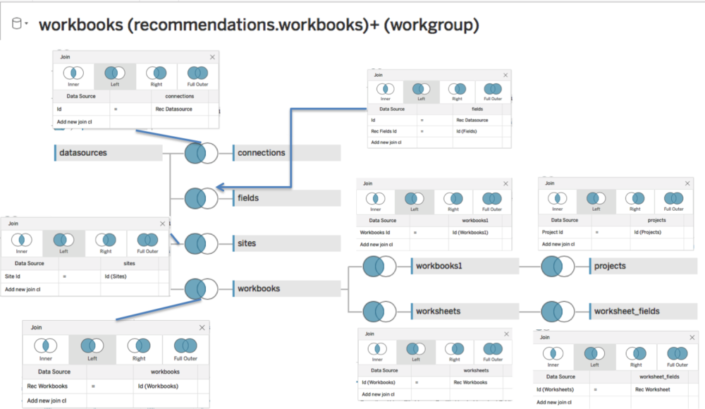 Worry not if this looks daunting, this post also contains the Tableau packaged workbook, which of course contains the datasource and relevant connections. I think there’s so much possible with this set of joined tables, so please do share your ideas, hypotheses and experiences! For this particular customer, a simple lookup table was enough – a double check that the old legacy databases weren’t being used and had been retired. But why pass up the change to build out an investigatory dashboard?! The user is able to toggle whether to focus on certified or uncertified datasources (if this organisation is using datasource certification), focus in on specific sites or specific projects to compare and contrast the user of different ‘class’ of datasource. The table below goes one step further, looking at the names of the datasources, as well as the raw server – which can hint at database connections and IP addresses. Don’t forget! Make sure to change the repository details in the datasource details window, adding your password of course. Please do share your feedback and experiences, and keep them peeled for more #ProjectGriffon goodness!